Our work with local authorities has gained further momentum with the launch of a new dashboard for Warwickshire County Council. 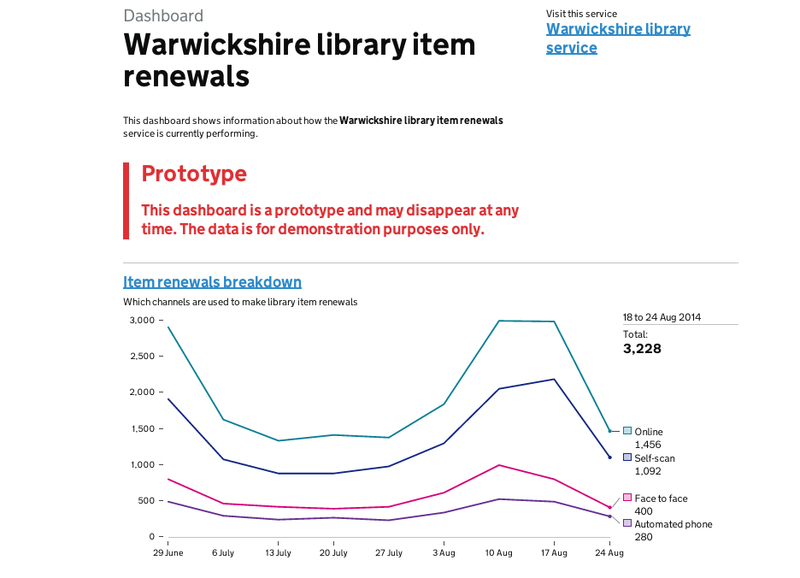 The dashboard displays service information on library item renewals and is the second dashboard we’ve launched for local government. The first dashboard launched back in April covers Solihull Council’s missed bin reporting service. Library item renewals is a service that’s both replicated in the majority of UK authorities, and has a large volume of users. We've chosen to build a dashboard for such a service first, as it can be easily reused by any local authority that provides us with similar data in the future. Our contacts at Warwickshire Council have already told us that the dashboard is helping challenge some unverified assumptions. For example, the digital renewal rate of library items from senior citizens was widely assumed to be very low, but the data shows this is not the case - in fact 43.7% of senior citizens renewing library items do so online. Similarly, the dashboard data allows the council to clearly see the low popularity of the automated phone line. Assessing whether this communication channel is effective could be a point of further investigation for the council. Solihull Council chief information officer, Steve Halliday, has blogged about further types of insights the council has been able to gain from the dashboard. Our focus remains on central government but we are keen to build a platform that can be used across government and the public sector. It’s been particularly useful working with local authorities and finding their needs to be often very similar to key departments and agencies. 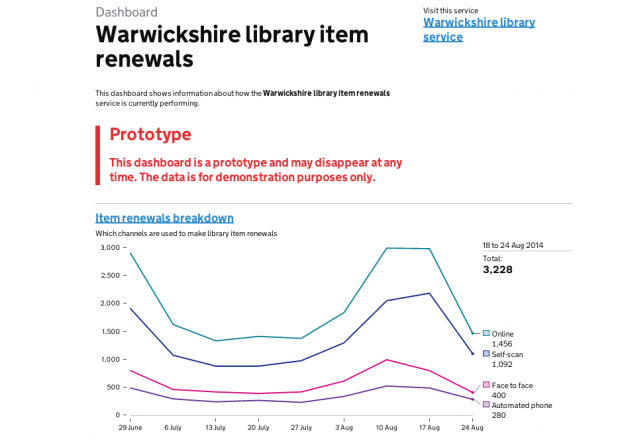 The next step for our work with local authorities is to create more missed bin and library item renewal dashboards. I’ll blog again soon on our progress.